I traveled to Las Vegas for the Photoshop World conference and expo earlier this month. It was my third time to visit this amazing city. While I'm not much for gambling, there is a lot to see and do there. Unfortunately, the tight schedule of this visit didn't afford me much time to roam around. 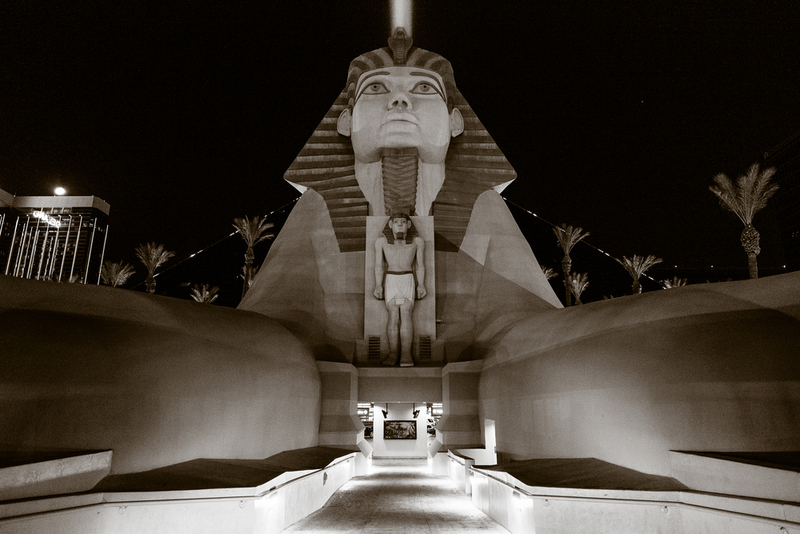 I stayed at the Luxor and I did get to wander through a few other casinos. Excalibur and New York New York are in close proximity (by Vega Strip standards) and I found them to be the most visually striking. While walking around the Strip I had a conversation with one of my friends about the marvel of what has been built in a desert region. No expense seems to have been spared in creating a facade on some of the hotels and casinos to give visitors the illusion of visiting somewhere adventurous or exotic. In photography we have the concept of "selling the fake" when it comes to composite or heavily modified digital photo creations. Sometimes we create things that aren't real, they just have to appear that way - just enough to suspend the viewer's beliefs to the contrary. Selling the fake is an accurate description of what you find on the Vegas Strip. A lot of money is spent to create that illusion. It's fun though. I enjoyed my walk around a medieval castle, a pharaoh's pyramid, and the streets of New York. A few stiff drinks and sure, I'll buy into the fake. All three of these hotels and casinos looked pretty cool from the outside. 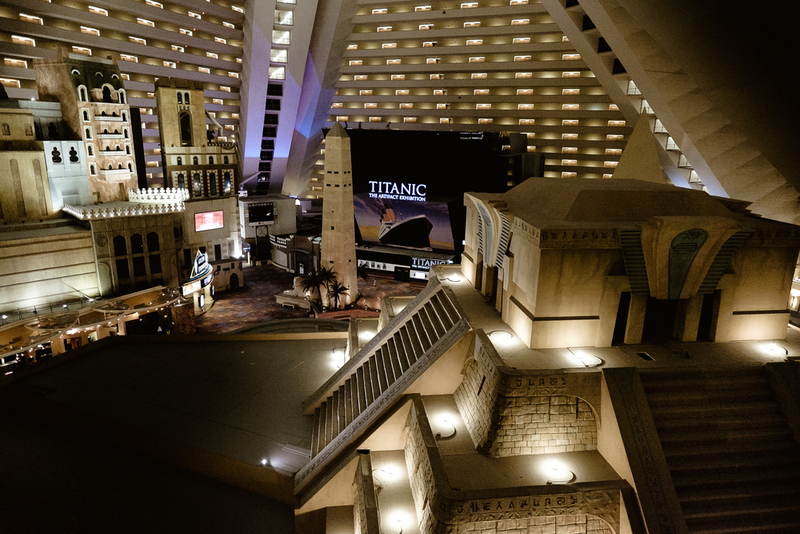 The Luxor was my favorite on the inside. I didn't actually stay in the pyramid - I was given an upgrade to a tower "deluxe" room (odd, I can't imagine I looked like a high roller). I had to take a stroll around the pyramid, of course. It was not easy for me to decide to take a ride on the inclined elevators to an upper floor for a bird's eye view. I'm terrified of heights. Somehow I managed to muster the courage to lean out a little over the railing and snap a few shots of the faux Egyptian city. It's a neat place and I enjoyed my brief stay there. Maybe next time I'll move further up the strip and check out Paris or Italy via the Venetian. Ah, Vegas. You don't have to travel far to feel like you've traveled far on the Strip.